How often do you host formal or informal gatherings for guests? Entertaining is second nature for many of us, while nerve-racking for the rest of us. What should be served? How should the food be prepared and presented? Do I have enough of this or is there too much of that? Stress less! With advanced planning, you can easily transform your hors d'oeuvres from basic business to bountiful feast. Start searching for your seasonal floral arrangement, we're here to share a few tricks of the trade. 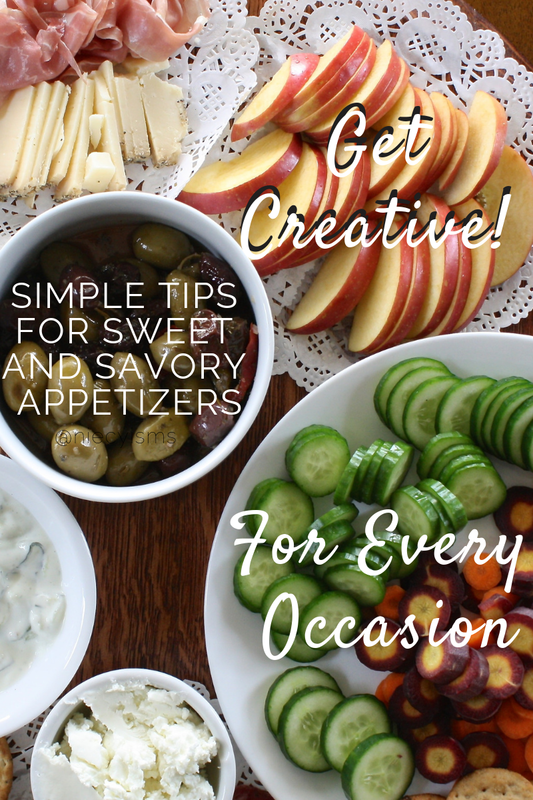 Use these tips to get creative with your next sweet and savory appetizers for every occasion. Before sending out those invites, decide on the budget and menu for the anticipated amount of guests you will be preparing food for on this occasion. There are also serving options to consider, for example, will the table be set with appetizer plates available or will your company pick and grab with toothpicks or small skewers? Find your direction, devise a plan of action, and move forward with confidence and creativity. Look for the Rainbow - Add colorful ingredients to your appetizer array, serving a sampling of foods from each of the food groups, blending tastes, textures, and tones for an appealing layout. Showcasing a variety of brightly hued fruits and veggies will certainly please even the simplest of palates with familiar flavors paired with a unexpected new treats for the more adventurous foodies. Less is More - Save the mega-sized serving dishes for casserole day at the annual potluck at work. Keep the decor fun and festive with small serving bowls, plates, and platters for an assortment of bite-sized snack board delights. Eye the table periodically for low serving supply due to the smaller containers. Mix It Up - Serve up traditional choices which are certain to be fan faves with more daring selections to leave a lasting impression. Some ideas for delish nibbles include cheddar, brie, gouda, olives, sliced peppers, grapes, berries, kiwi, crackers, baguettes, turkey, prosciutto, salami, almonds, cashews, with hummus, dijon mustard, honey, or chocolate for added flavor. With all that said, are we invited?